Pendant measures 1-3/8" x 5/8"
Not into silver jewelry? 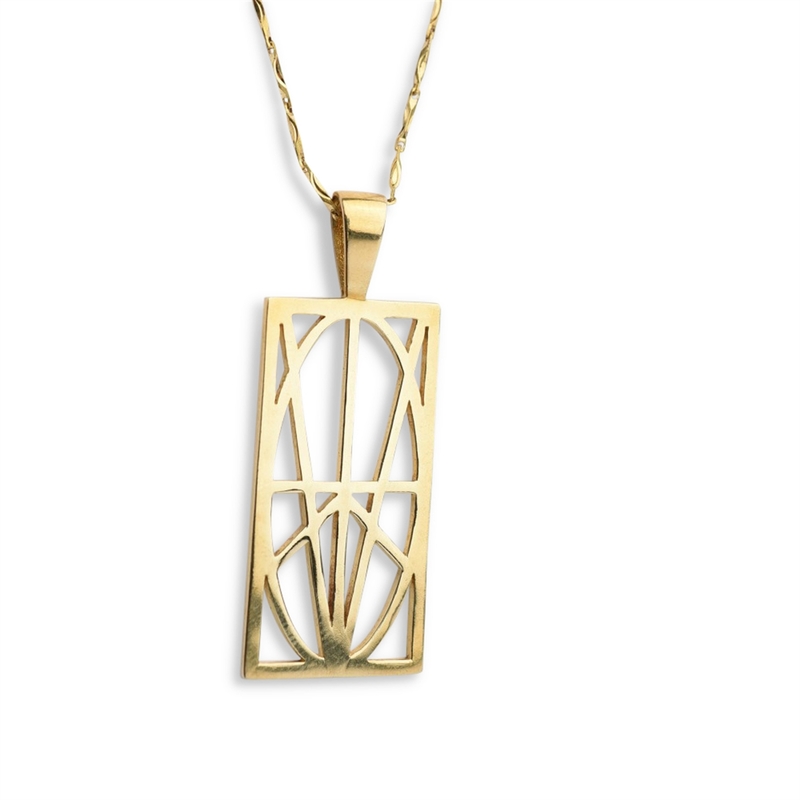 Zymbol’s line of Bronze pendants offer a nice change of pace. This unique pendant is polished to a high shine that people may mistake for 14k gold! It’s complimented by an elegant diamond cut bar chain (**please note that chain links are soldered together so the chain may look kinked when it arrives. Simply roll out any kinks using your index finger and thumb). This may fade somewhat to a natural patina once the owner starts wearing it. Use a use a silver polish cloth to maintain shine or let the beautiful patina 'do its thing'!